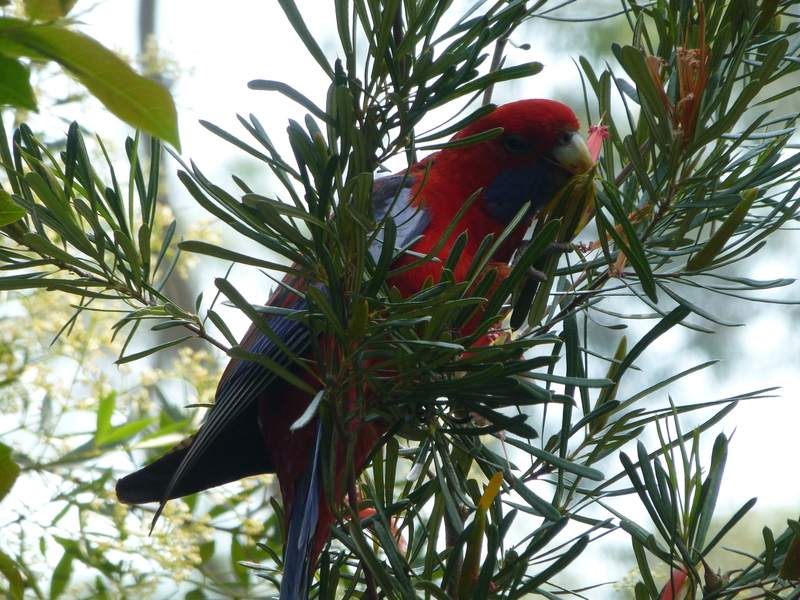 Over the last few days the Crimson Rosellas have been making their presence known to me. Yesterday I narrowly missed some lovely photos of them as they searched for food in our Sleeping Hibiscus. Today, there they were, flying past me as I walked the track beside the river, but this time they landed in a nearby tree. 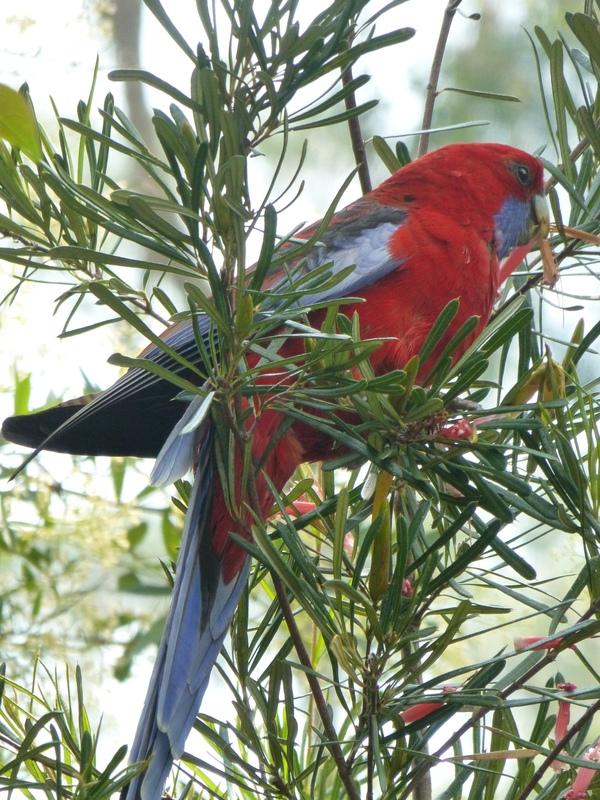 Enjoy this image of a glorious Crimson Rosella as it perched in a bushland park in suburban Sydney, Australia. 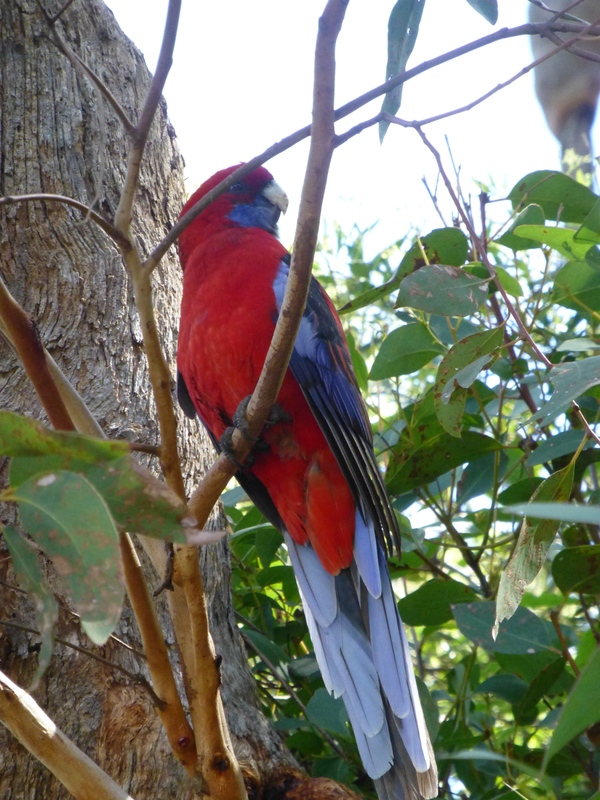 A sights for sore eyes: a Crimson Rosella. These strikingly-coloured birds brighten my day. I see them far less frequently than their beautiful relatives, the Rainbow Lorikeets, and whenever I do their presence cheers me. Parrots are such interesting creatures. What better way to observe them than in their natural environment? Wow! 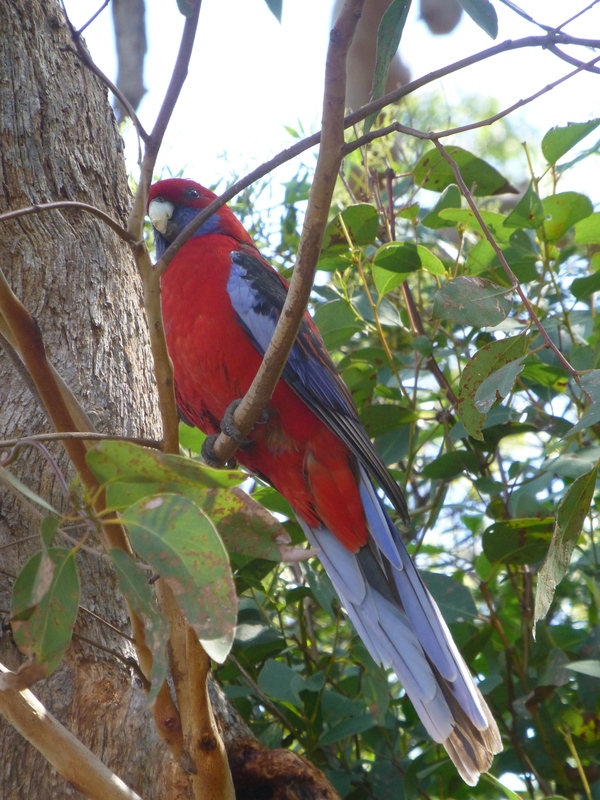 It’s a Crimson Rosella! 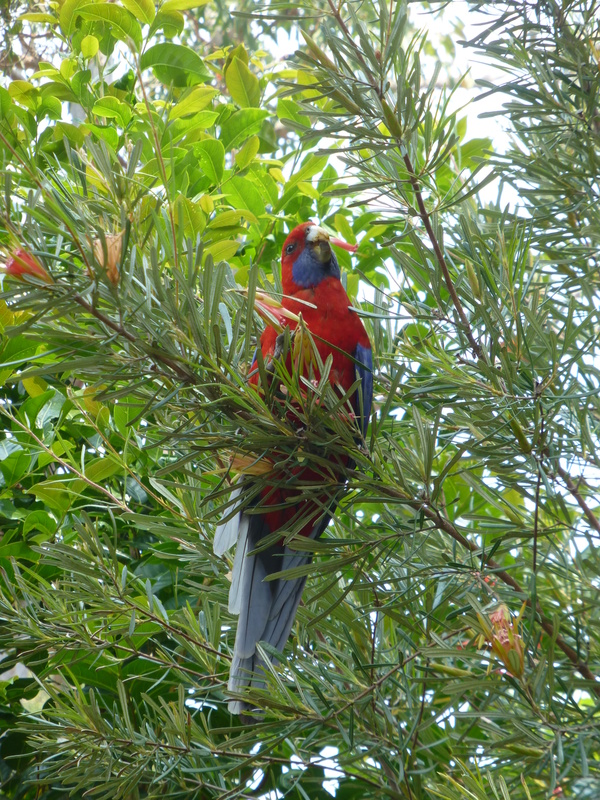 It’s a beautiful Crimson Rosella, perched in an Australian native tree. The information brochure about the local park where I spotted this feathered beauty states that they are common, but this has not been my experience. Yet the fact that I see them only rarely adds to my delight at having the camera on hand. And this bird is most obliging! Don’t you agree that Crimson Rosellas rank among the world’s most stunning birds? Today I spotted a pair that were searching for food beside the river bank. I could scarcely take my eyes off them! Here’s a photo of a magnificently-feathered specimen.